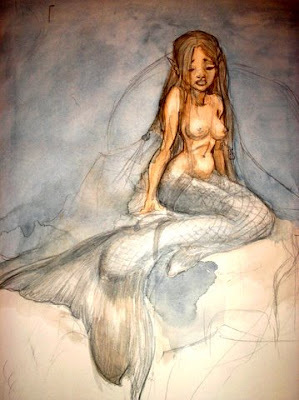 My friend Donal Nugent (a great poet) wrote a lovely poem about a mermaid, so I just had to do a sketch/watercolour of it. I don't think I did the poem justice though...but I enjoyed making doin the sketch though :-) thanks Donal !! Oh that's lovely! Did you show it to me before?